Holiday stress & self-care. Treat yourself! It’s the most wonderful time of the year… right? The season can be full of love and good cheer, but it’s also the time for crowds, over-spending, stress eating, and those ever mind-boggling family dynamics. Just one glance at your chaotic social calendar or to-do list may be enough to send you into the winter blues. 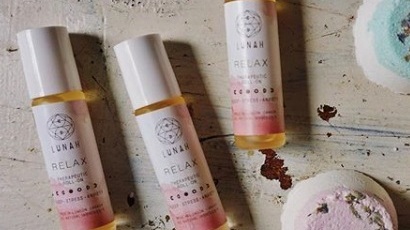 While you might feel like roasting someone’s chestnuts over an open fire, Lunah is here to help you chill out and reclaim your holiday glow. You’ll be rockin’ around that tree in no time! These simple tools and daily practices for self-care will help you feel more relaxed, focused, and ready to take on anything. They’ll also give your body and skin a boost so you look and feel great on the holiday party circuit. Take a moment for yourself away from it all and have a spa night at home. Set up your space the way you like it - light a candle, diffuse some essential oils, or put on your favourite playlist. Looking to keep the holiday spirit going while you relax? Opt for an instrumental or jazz holiday playlist for a refreshing change. Add a facial steam tab to a bowl of boiling water, and steam with your head under a soft towel. Get comfy and enjoy this mini-sauna experience. You will take the biggest, deepest breath as you steam your face with our relaxing herbal blend. This roller ball is your travel-friendly bestie in a bottle. The Relax Roller blend with oils of apricot, sunflower, jasmine, and citrus helps to relieve anxiety and stress. If you find yourself panicked in mall madness, take a moment with this scent and regain some zen. Experiencing late-night stress while wrapping presents or baking? Try rolling on the bottoms of your feet. Your pores are the largest on your feet and therefore absorb and assimilate into the body the quickest! This unique blend of 100% pure essential oils is designed to rebalance you nervous system, helping you feel and sleep better, and handle the stressors of the day. A holiday is supposed to be a day of festivity and recreation when no work is done (HA - we laughed too!). With so much to accomplish before the big day, increased stress levels may surface in your body in the form of headaches or pain. 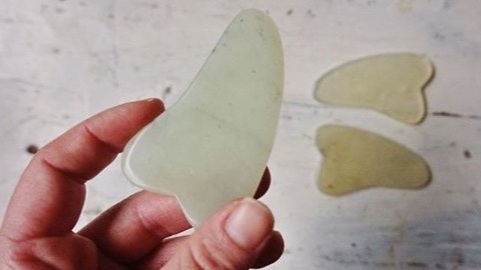 Gua Sha is an amazing ancient tool, used to relieve muscle pain or tension. It is particularly helpful for migraines and stress headaches. It’s also a beautiful way to end your night. After your have cleansed and applied moisturizer, follow up with our Gua Sha technique. Our luxurious Whipped Frankincense and Jasmine Cream and matching Relax Roller, were created created to allow your body to relax and rejuvenate. It smells like a little bit of heaven and melts into the skin on contact. Apply at night before bed, or use the therapeutic roll-on throughout the day to release any stress your body may be holding. It’s the best present you can give yourself! Place all ingredients in a high-speed blender and blend until smooth. Dance and shake it off while the blender does the work for you! 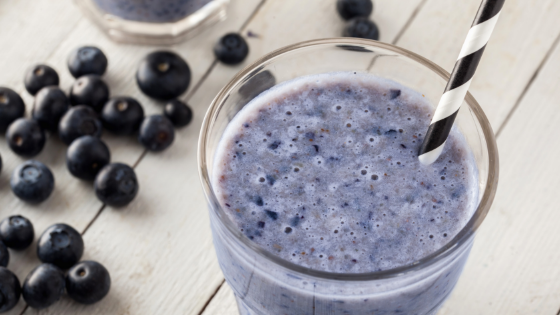 Enjoy this creamy dreamy smoothie as a mid-day treat or for breakfast to start your day right. The ultimate anytime stress reliever? TEA! Brew a cup of Lunah Beauty Tea and add 1 TBSP of our Berry Collagen. The myriad of nutrient dense ingredients and botanicals in our recipe will help to bring your body back to a state of balance. One of the most stressful parts of the holidays? Last. Minute. Shopping. Luckily, Lunah is here to help you through it! We have one more holiday event in the works, hosted by our fave local partner Purdy Natural. We will be in the shop this Sunday with lots of stocking stuffers and sale items to complete your list and stay on budget. Plus - we’ll be there to help you with any product suggestions and to answer your questions. Come visit us and say hello! Kick that Cold + Flu to the curb!